Realize the importance of improving engineering practices and tools so each increment of functionality is potentially shippable. 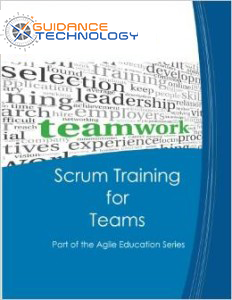 This course is based upon a combination of slide-based lecture and interactive case studies in which participants apply Scrum techniques to both an IT or non-IT project. Guidance Technology also provides a certificate of completion of the Scrum for Teams Course for each participant who successfully completes the course. This is a PMI Category 4 course that can be used for 7 PDUs. Click here for more details.